With the holiday season right around the corner, and the temperature slowly dropping even though in Florida it is very slowly!, it is the perfect time to warm up with a sweet treat. 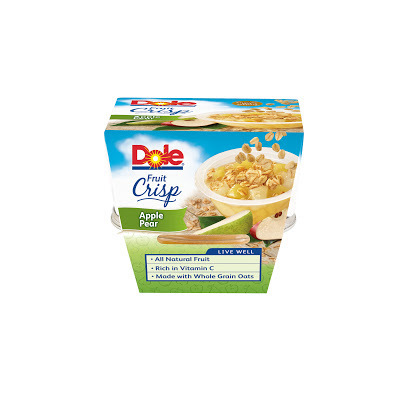 When you need a little "me time," reach for a Dole Fruit Crisp, the perfect combination of all-natural fruit and crunchy oat and brown sugar topping. 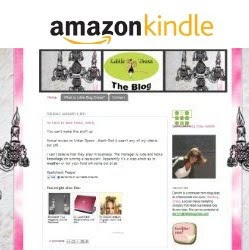 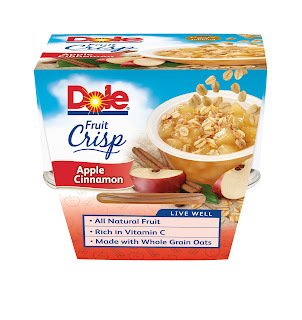 Try it warm from the microwave or right out of the bowl. Enjoy these delicious fruit flavors as a mid-morning snack, afternoon treat or evening dessert. 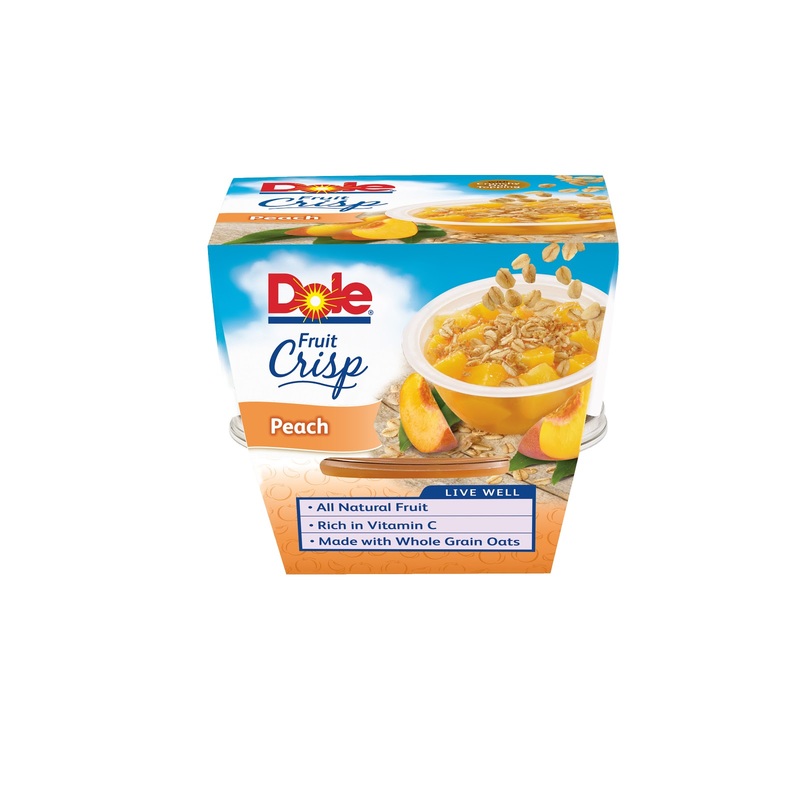 This guilt-free snack is available in three varieties: Apple Cinnamon, Apple Pear and Peach. 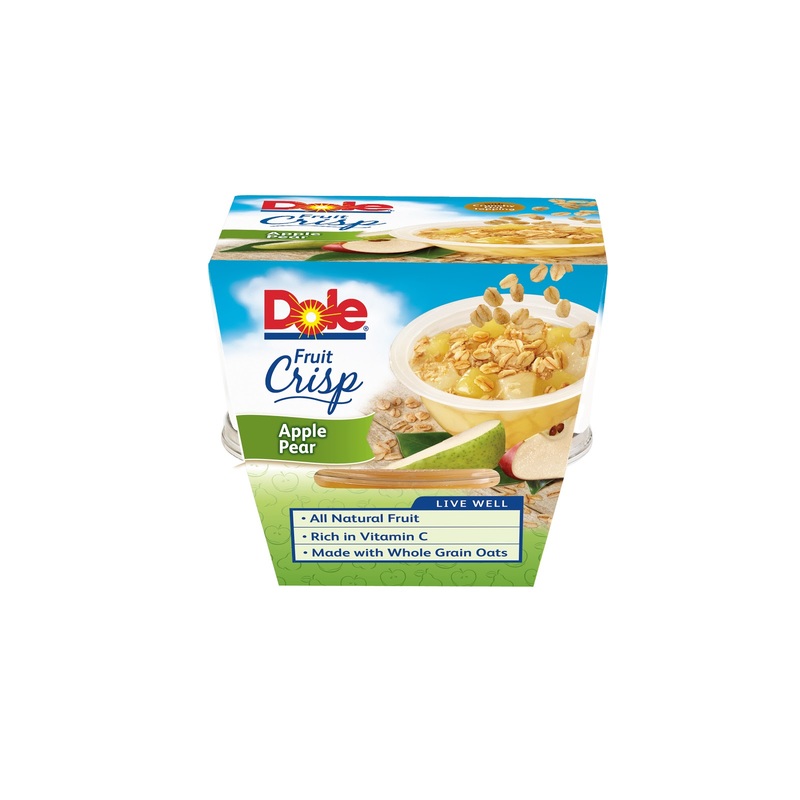 Found in the canned fruit aisle of grocery stores nationwide, a 2-pack of Dole Fruit Crisp.